Here see how you can SSH into iOS device using Windows 10 without any third-party app. This works on PCs having Windows 10 Anniversary Update or later version installed on them, it also works with Bash. In the past, users of Windows devices who were also in the possession of a jailbroken iOS device had to resort to third-party apps on the Windows powered PC desktop or laptop to SSH into iPhone or iPad. SSH into iOS devices allows you to directly transfer data to and from jailbroken iOS device and Windows PC without needing to install third-party data transfer apps. In latest Windows 10 Anniversary Update, Microsoft has brought the ability to SSH into iOS devices without needing to install apps like PuTTY to unlock SSH access. 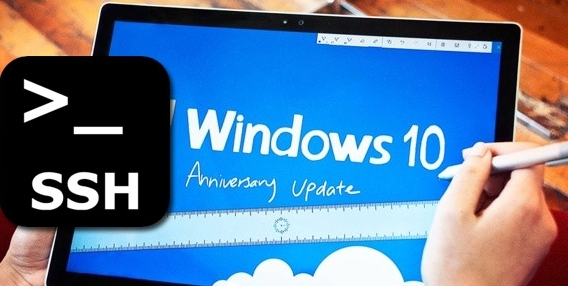 Please note in order to accomplish the task mentioned in this guide, you must have Windows 10 Anniversary update or later update installed on PC. If you have Windows 10 Anniversary update installed on PC then move ahead and see the guide. Follow steps in the guide as stated to avoid any errors or mistakes. 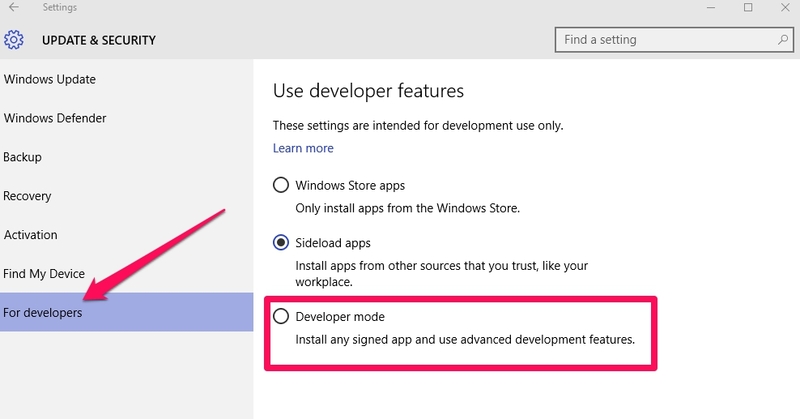 On Windows 10 PC, navigate to Settings > Update & security > For developers and enable the Developer Mode option on the right-pane of the Settings window. Now open the Start Menu and search ‘Turn Windows features on or off’. 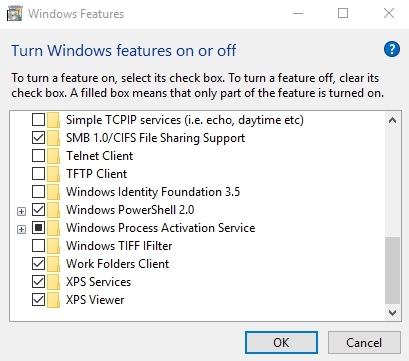 On Windows Features options box, enable the ‘Windows subsystem for Linux (Beta)’ option. Save changes and restart your PC to install Bash on your Windows PC. When the PC is back on after the restart, click on the Start Button again and search ‘Bash’. Also run the command with the same name that shows on the search result list. You will be taken to the Windows Store where you will be guided to a process of downloading ‘Bash on Ubuntu on Windows’ and create a new account. After that, click the Start icon again and type ‘Bash’ or ‘Ubuntu’ to open ‘Bash on Ubuntu on Windows’ app. Now that you have enabled Bash on Ubuntu on Windows 10 Anniversary update, move on to the next step. 2 – On your jailbroken iOS device, install OpenSSH Cydia package. To do so, open Cydia on your iOS device and search Open SSH and install it. If you have already installed Open SSH installed on your device then skip this step. 3 – Now to note down the IP address of your jailbroken iOS device, open Settings app and navigate to WiFi. Tap on the information button to go to the additional details of your WiFi network and note the IP address. 4 – Now back on Windows PC, type ‘Bash’ in the search bar and hit enter. This will take you to the Bash command line interface. 5 – In the command prompt, type ssh [email protected][IP address, from step 3]. Make sure to enter the IP address of your jailbroken iOS device. If asked to enter the password, type ‘alpine’ which is the default root password of jailbroken iOS devices. 6 – This should unlock access to the jailbroken device via SSH. That’s all. You can now transfer data and files between your jailbroken iOS device and PC without having to install third-party apps.